Katie Stuart lost $100k to a Nigerian love scammer whom she met online 2 years go. Even with the help of Consumer Protection and WA Scamnet (launching its new website), they managed to catch the scammer but she did not get all her money back. Consumer Protection estimates West Australians lost about $5 million to scammers last financial year. A PERTH woman has told how she lost $100,000 in a romance scam and is urging others to be wary of people who befriend them on social networking sites. Katie Stuart, 55, pictured, was slowly swindled out of her small fortune by a Nigerian man she met on an online dating site two years ago. The mother of two, who is originally from Queensland, had just been through a painful marriage separation when she joined the site. She soon struck up a friendship with a man called Paul, who, over the course of a few weeks, convinced her he was interested in a relationship. Eventually Paul, who said he lived in the US, persuaded Ms Stuart to become a joint-venture partner with him in a property he “owned” in Florida. Ms Stuart said initially he only asked for a few thousand dollars to help “renovate” the house, but over the course of a year, more small amounts soon added up. He told her stories how he had lost his wife and his son was in boarding school and desperately needed a mother. He suggested they should be a family. It was not until Paul failed to travel to Australia in 2010 that Ms Stuart realised she had been conned. Now she is sharing her experience to stop others being conned. “I was on my own and I was very lonely,” she said. “I didn’t even know what internet dating was until one of my girlfriends suggested giving it a go. At first it started out as a lot of fun, then I met this one guy and we exchanged emails and it went from there. “We spoke regularly on Skype, though he never had a camera, and it seemed as though we had a lot in common. I fell in love. I ended up putting money into this house. Ms Stuart tracked down Paul in Nigeria with the help of Consumer Protection and WA Scamnet, which is launching its new website today. But she did not get all her money back. Consumer Protection estimates West Australians lost about $5 million to scammers last financial year. Commerce Minister Simon O’Brien said contact made to Consumer Protection regarding scams had doubled in the past year to about 900 calls per month. Last financial year more than $5 million in financial losses were reported by victims. More than 30,000 emails and letters are sent every year to WA ScamNet. “Ms Stuart said the website is user-friendly and there is a lot of help and advice for people who have lost money through a scam – such as how to report fraud; where to locate a financial counsellor; and even suicide prevention advice,” Mr O’Brien said. 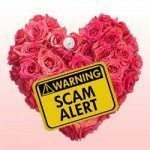 200,000 Love Scam Victims in UK?